Mama Mel Crafts: Hello World! So I did not make it to my sister's wedding. I told my cervix to stay closed until today but it did not listen. My sister looks beautiful and happy in all the pictures and everyone said they had a good time. The birth didn't go exactly as I wanted (do they ever?) but it went a lot better than last time so I am thankful. The night after the baby was born I felt better than I felt a few days (a week?) after Minnie was born. And one of my midwives was working and delivered the baby! 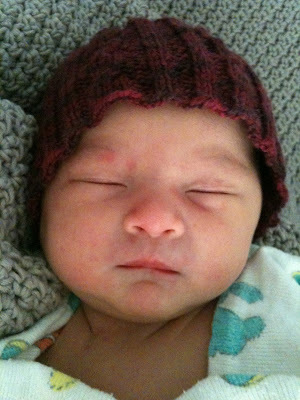 Tiramisu Blanket and Cable Baby Hat. 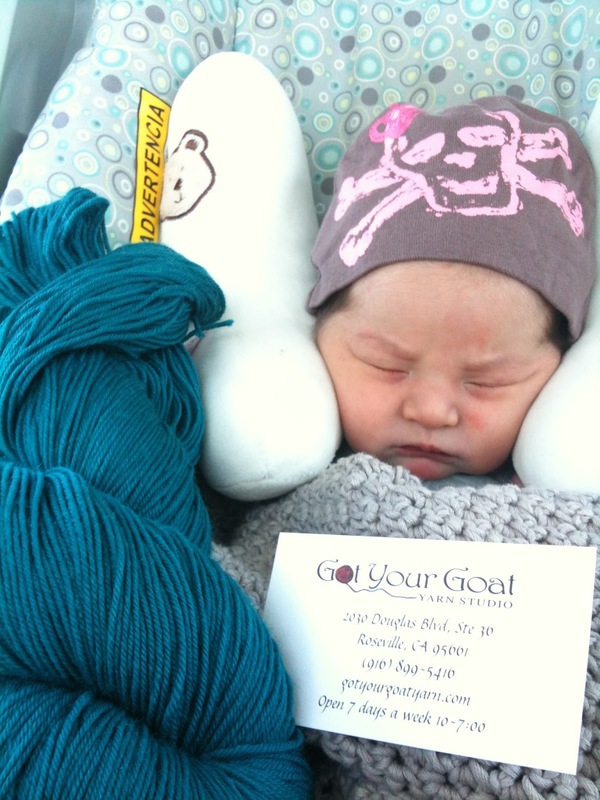 We stopped by at the yarn store on the way home from the hospital.